1. Tony, you’re a guy that’s pretty busy. You’re a pastor, the father of a large family, you’re a writer, a part-time coach and until recently a college professor. What counsel would you have for group leaders also trying to balance full time jobs with family and significant ministry commitments? 2. You wrote Ordinary that is for the most part about hospitality — one of your passion points. What events or circumstances in your life have pushed the practice of hospitality to such a prominent position in your family’s personal values? 3. As you and Kim have practiced hospitality as an important aspect of your ministry what have you learned about hosting as a part of disciple-making? 4. Research shows that Bible engagement is THE indicator for a growing disciple that make disciples. 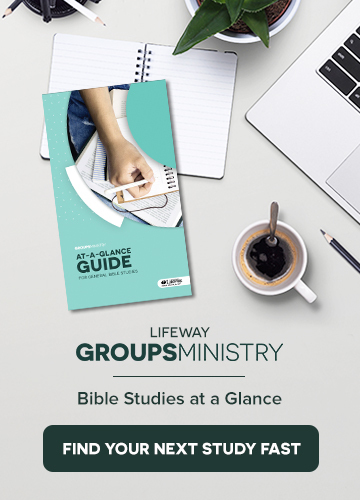 What have you found to be the most effective way to teach the Bible to new believers? 5. Describe your relationship with the groups ministry at Imago Dei. To what extent are you involved with this part of ongoing ministry at the church? I would encourage people to work early. I get a lot of writing done before 8:00am. When I’m working, really work. When I’m resting, really rest. Build in times and seasons of rest. I can work with a sense of joy because Christ has accomplished what matters most and is coming to renew all things. The secret to good sermon prep, and the secret to good writing, is great editing. Hospitality allows people to do something very significant in the ordinary rhythm of their lives. You can go through your day without talking to another human being, and I think that’s a problem. Some people need to see how the Gospel works before they actually understand the Gospel. I have found that a lot of unbelievers are more attracted to the Christian community than the Christian message. Our guest today is Scarlet Hiltibidal. Scarlet is a very professional wife and mother to her family in Middle Tennessee. She loves sign language with her daughters, nachos by herself, writing for her friends, and dreaming of being a famous chef while spilling the cheese dust from the macaroni box on the kitchen counter and using it anyway. She treasures the freedom of resting in the work of Jesus and hopes to help others rest as well. She is the author of the just released, Afraid of All the Things: Tornadoes, Cancer, Adoption, and Other Stuff You Need the Gospel For. What was it like growing up, as you say, “in the green room” of SNL and other national TV shows? How has it shaped your adult life? What prompted you to write your first book, Afraid of All the Things? Who did you write it for? When do you first remember being crippled by fear and anxiety? What was it like and how did it shape your childhood? When did you first learn to hold the gospel up to your fears, and how did that change things? How do your fears and anxiety play out as a small group leader? What advice would you give small group leaders on overcoming their fears, and at the same time, helping their small group members work through their own? Do you still struggle with fear and anxiety, and what do you do to combat it? What are your hopes for readers after they finish the book? You have to force yourself to live in the light. I was afraid that people would not accept me if they knew about all of my flaws. I grew up hearing the gospel, but I thought I needed Jesus to die to save me–but I better do a really good job of being a Christian. “Am I good enough” caused an underlying panic all of the time. The gospel is for every moment. In this episode, Brian and Chris speak to Jeremiah Johnston. Jeremiah J. Johnston, Ph.D., is president of Christian Thinkers Society, a Resident Institute at Houston Baptist University where he also serves at Associate Professor of Early Christianity. His latest book is “Unimaginable: What Our World would be Like Without Christianity.” He also wrote the Bible study Unanswered, published by LifeWay. You can listen to him regularly on his nationally syndicated radio program, The Jeremiah Johnston Show. 1. I heard it said one time, We cannot abandon the intellectual struggle. How would you define intellectual struggle? 2. How do you think the difficult questions contribute to discipleship? 3. How would counsel a group leader about how to navigate a group members unanswered questions? 4. How would you advise a group leader to lead a discussion that includes spiritual warfare references? 5. What’s the hardest question for you to answer? The greatest thing about our faith is that it is holistic, we are always growing. There is always a Pharisee in the crowd. Where the intellectual struggle has been forfeited, that’s where faith becomes irrelevant to life. We no longer, as a society, think in Biblical terms. Jesus was all about addressing the difficult questions in his discipleship. We have to give permission for our group to question our faith. Questioning your faith is not a sin. Questions create conversations, assertions don’t.